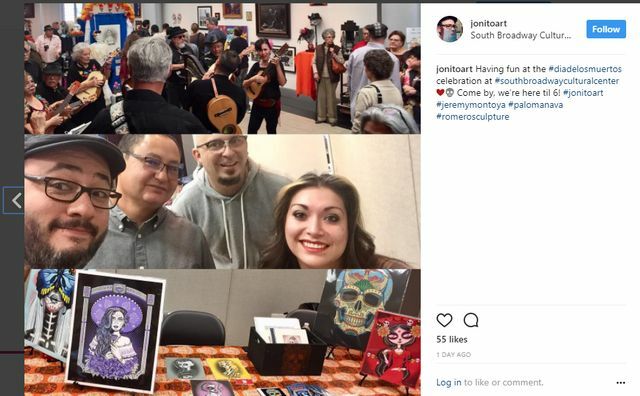 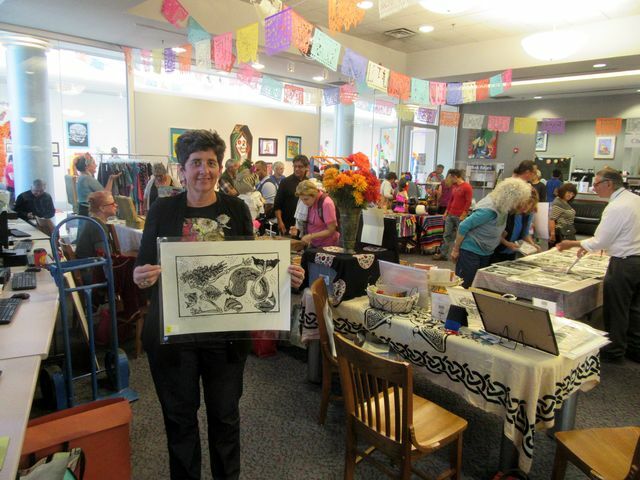 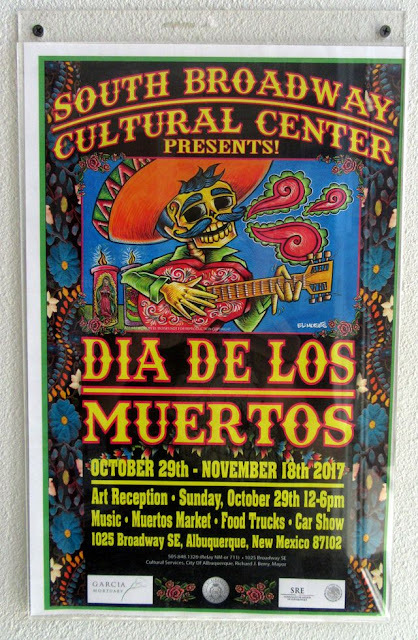 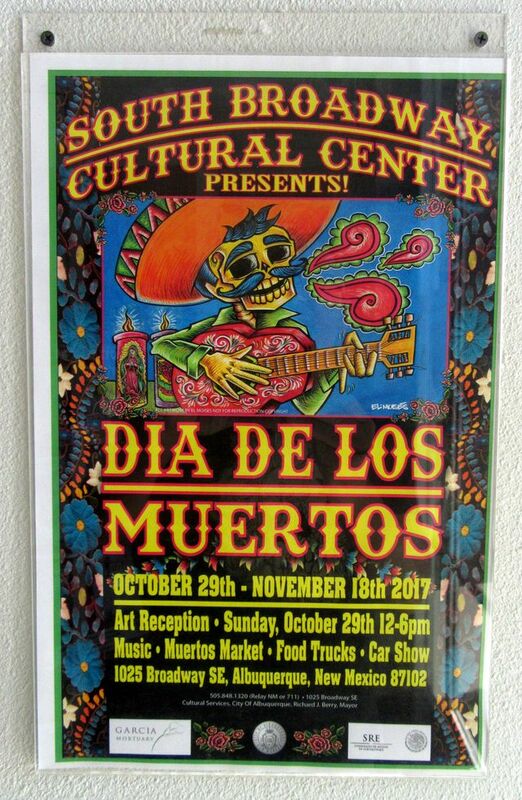 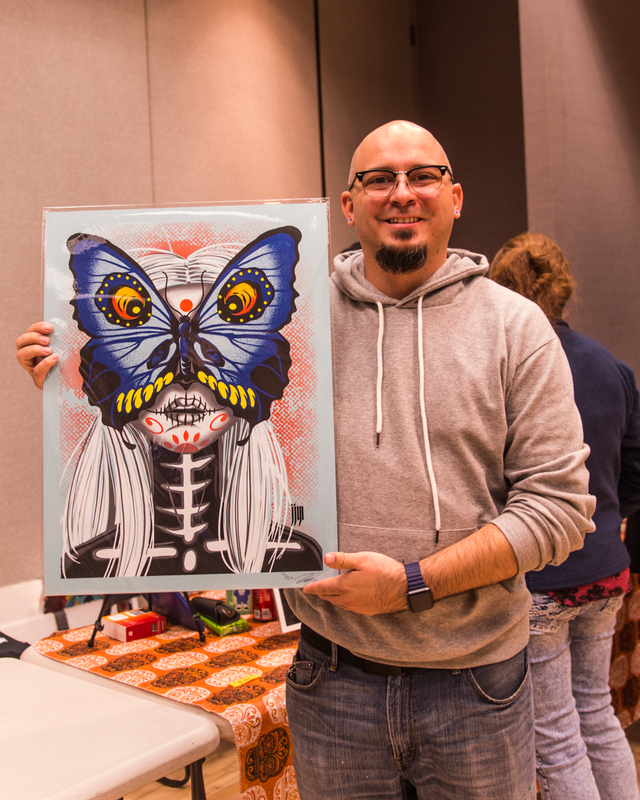 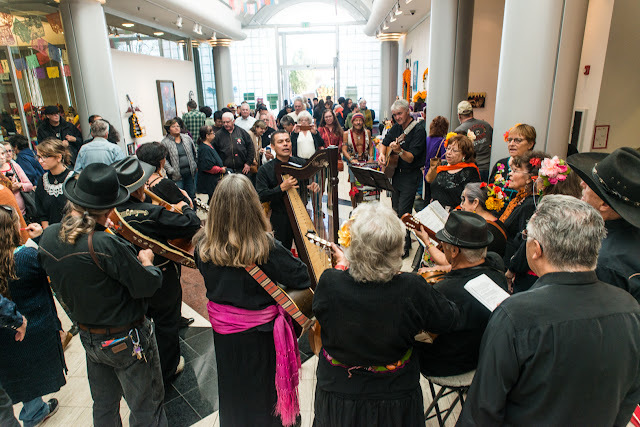 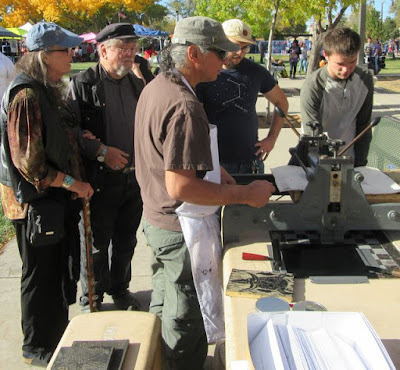 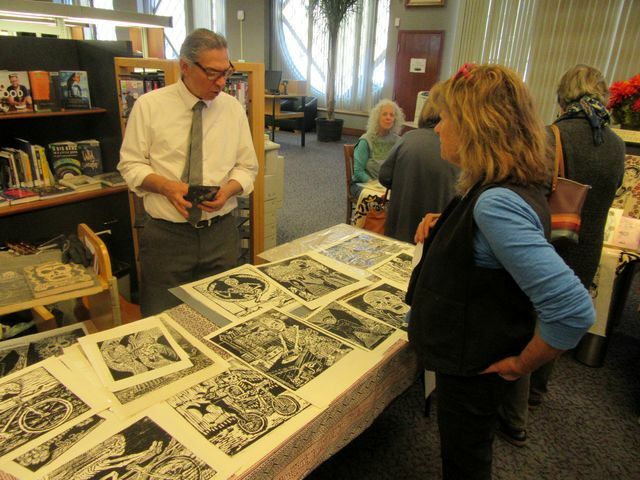 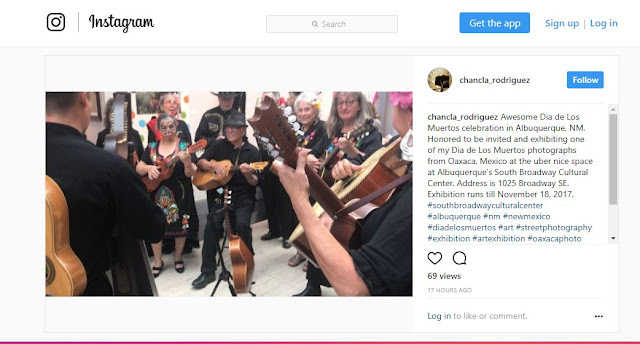 Lots of printmakers converged at the Day of the Dead event in Albuquerque at the South Broadway Cultural Center on Saturday, October 28, 2017. 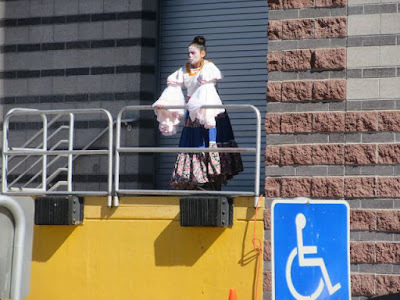 Perhaps this foreshadows something yet to come. 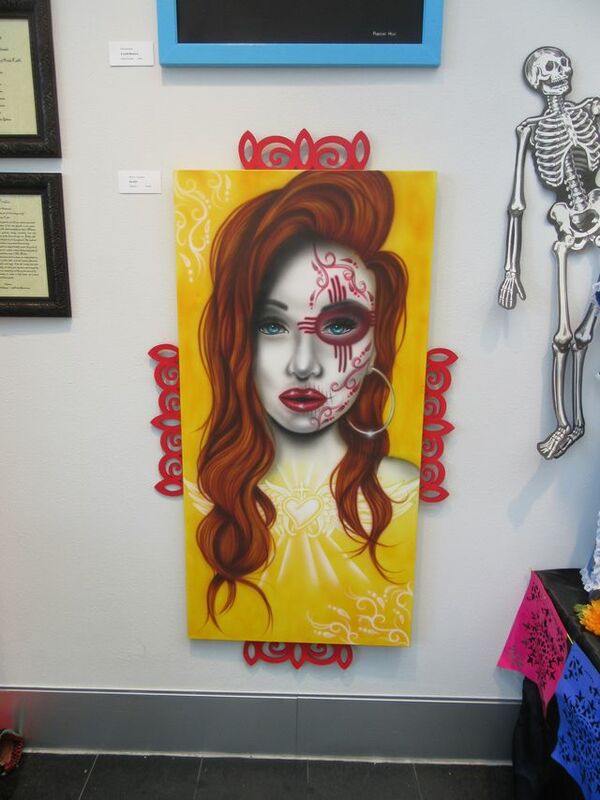 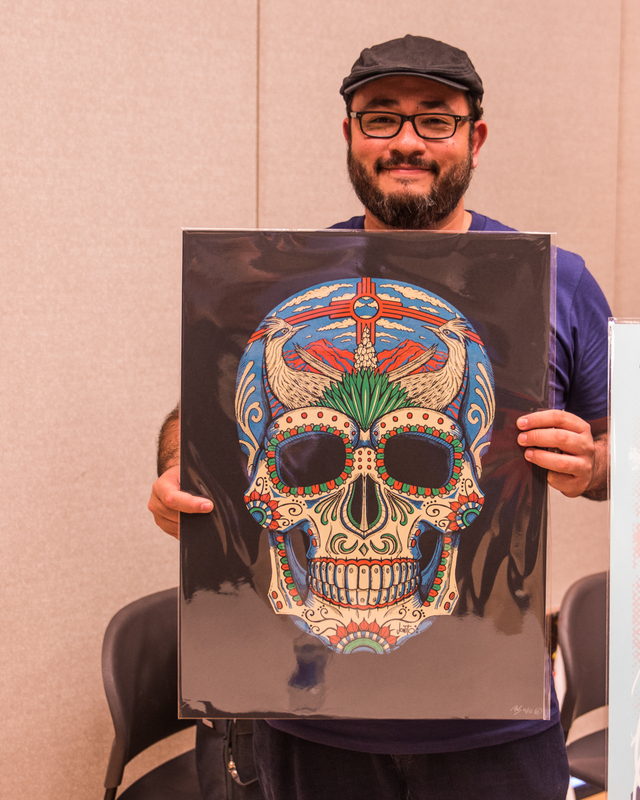 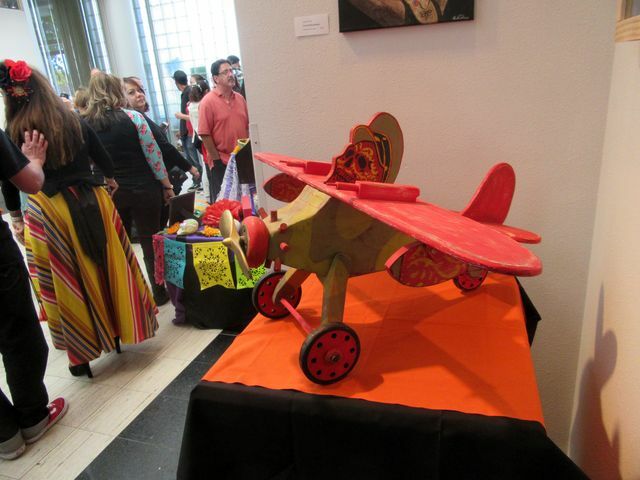 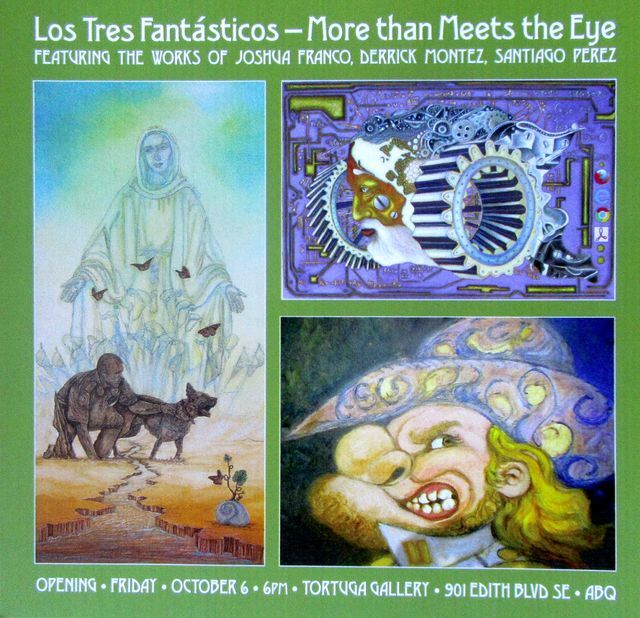 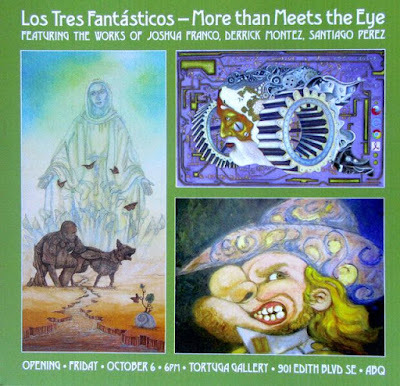 "Dia de los Muertos Air Force"
The Tortuga Gallery showed work from Joshua Franco, Derrick Montez, Santiago Perez, billing the show as Los Tres Fantasticos. 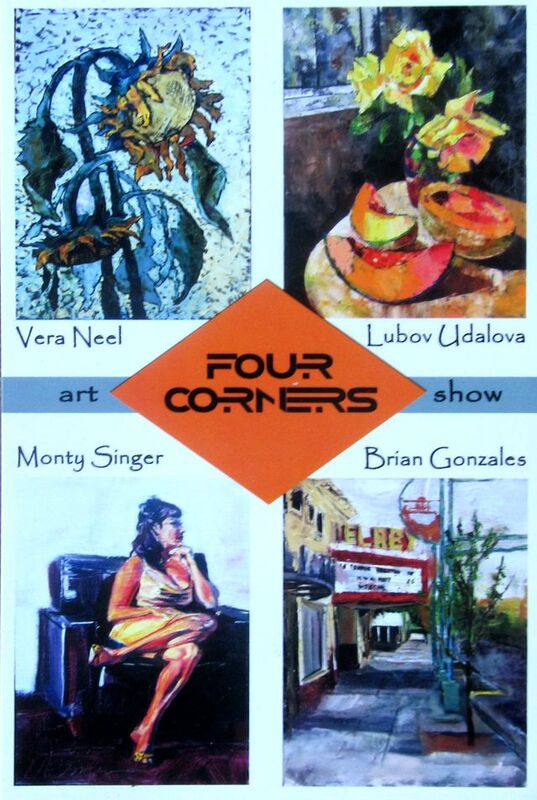 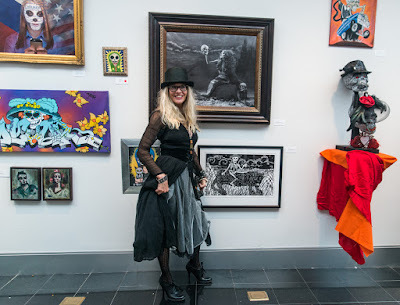 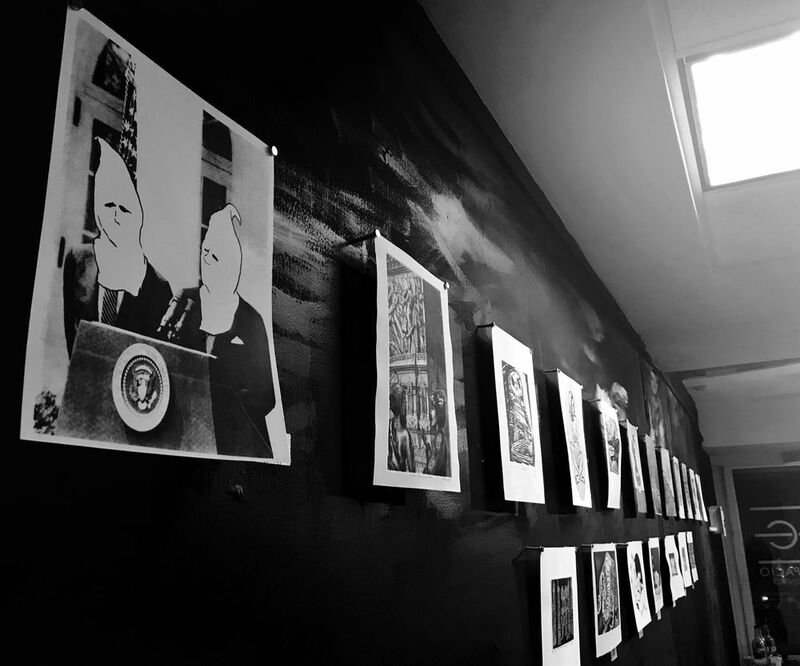 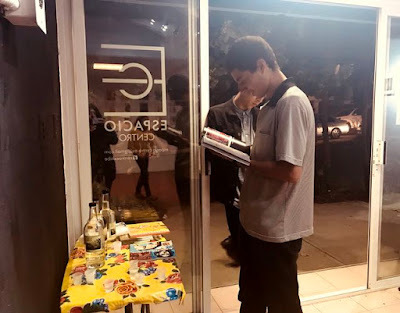 Also Monty Singer, Brian Gonzales, Vera Neel and Lubov Udalova filled up Art Gallery 606 on Broadway -- with a show called "Four Corners" during the month of October, closing on Oct 28th. 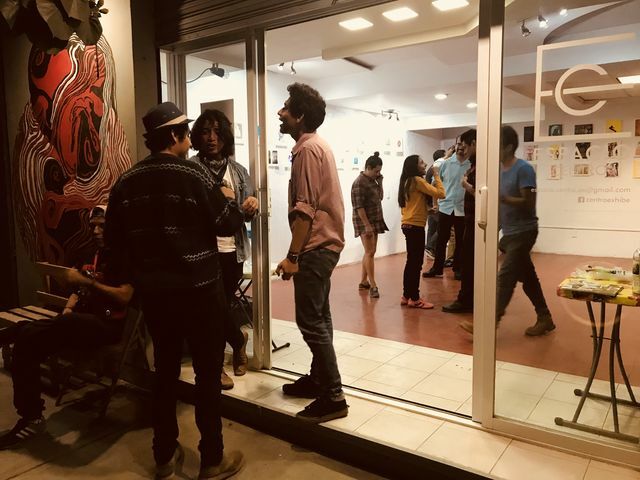 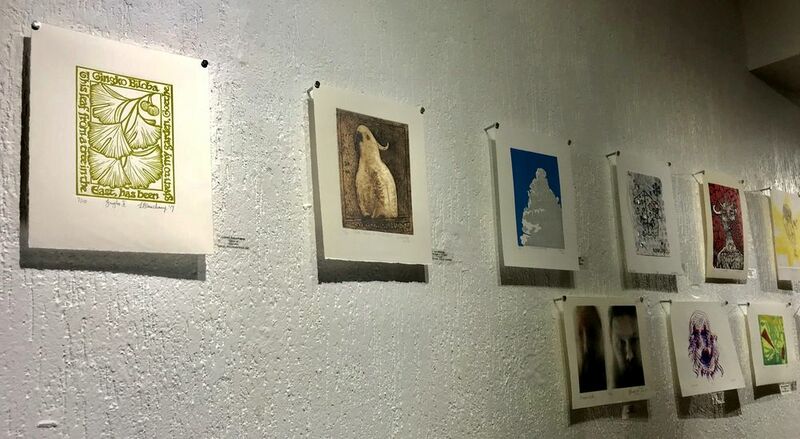 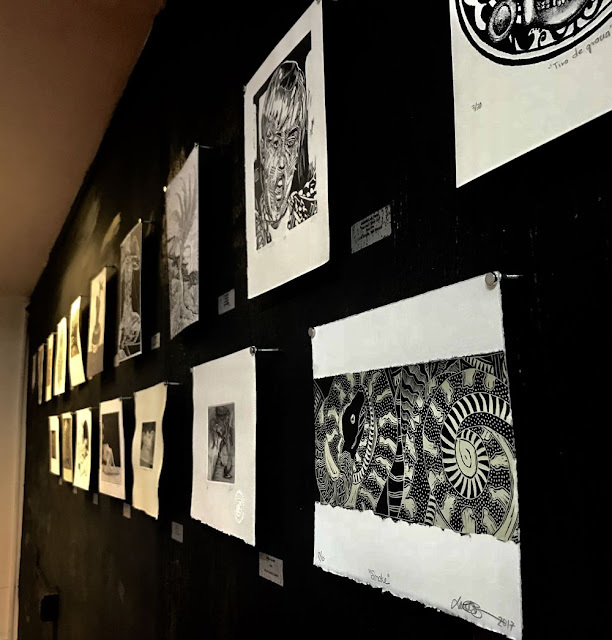 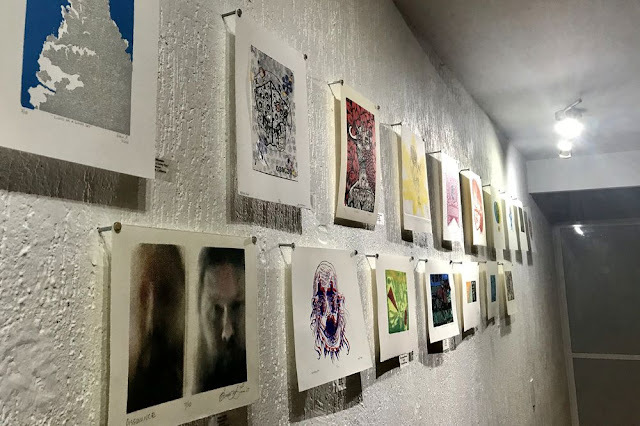 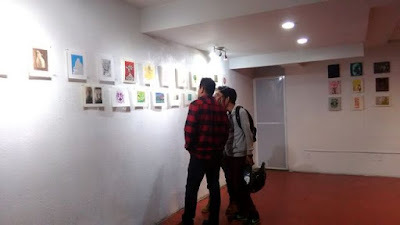 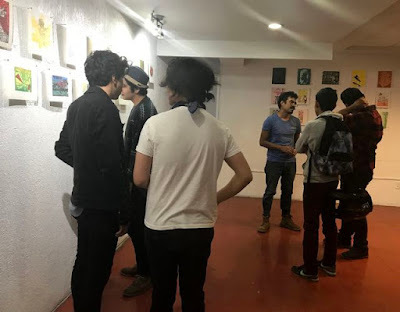 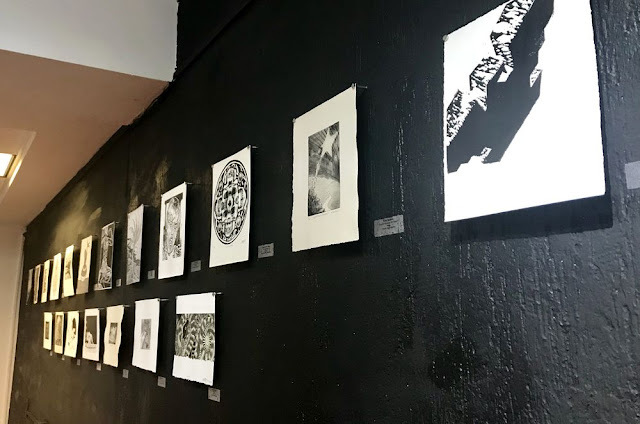 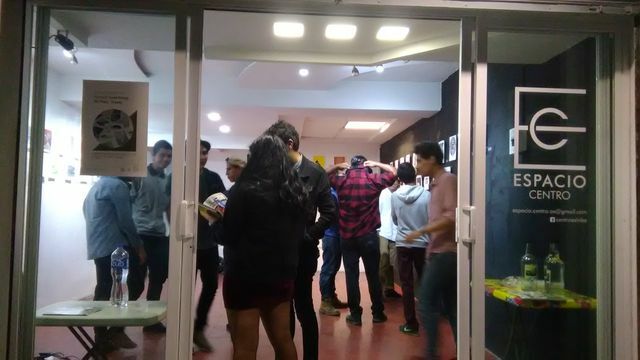 The Horned Toad Print Exchange II showed in Oaxaca at Espacio Centro, opening October 27th, 2017. 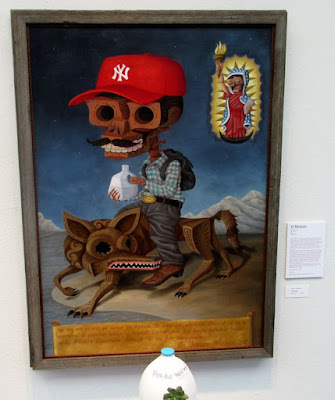 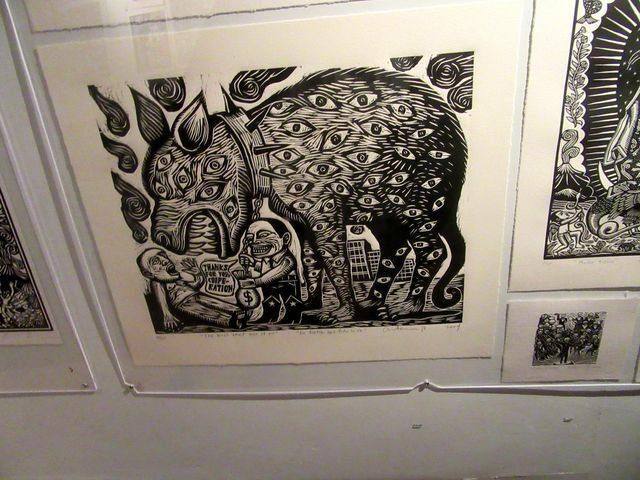 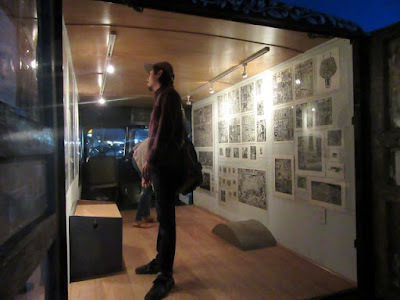 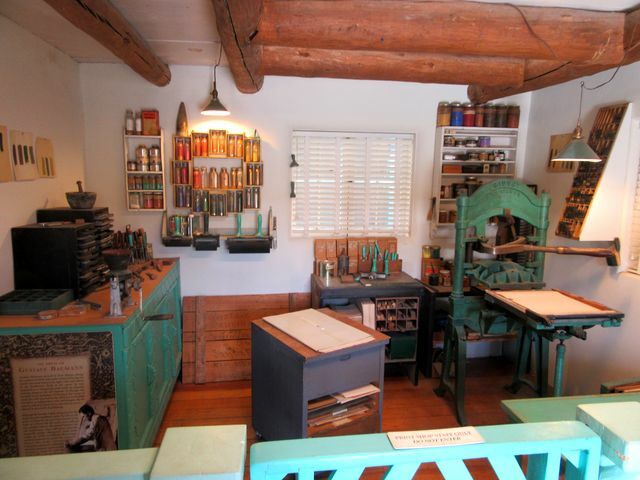 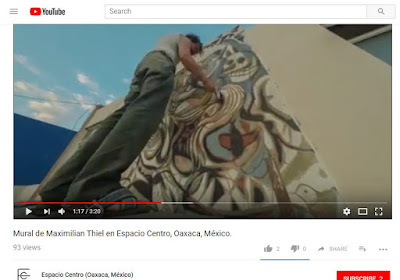 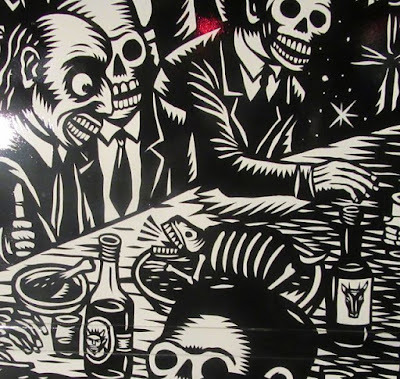 Oaxaca for printmakers, is like Paris for painters in the 1800s. 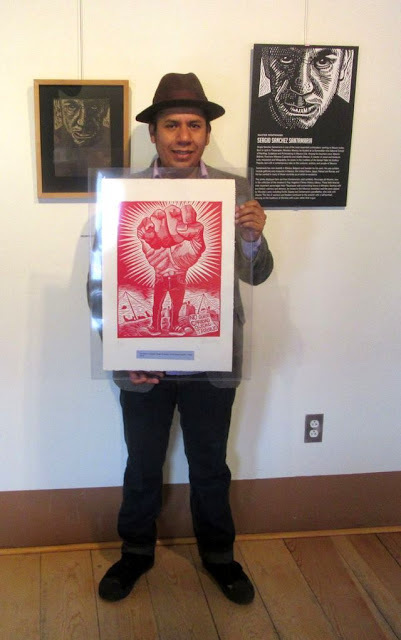 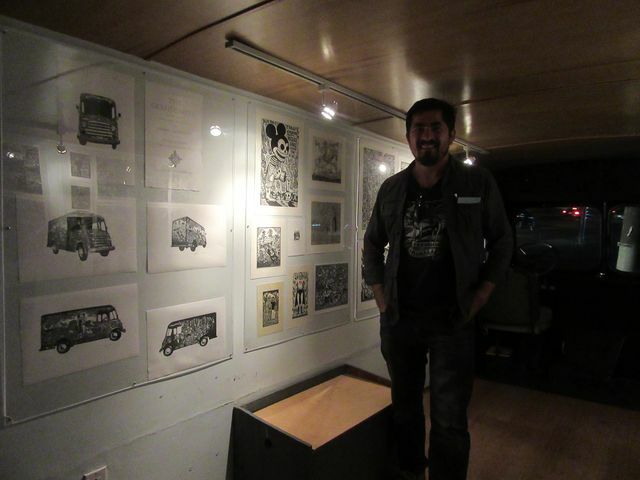 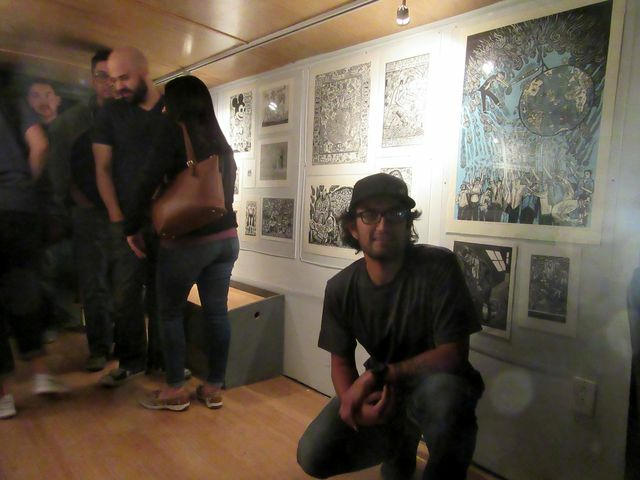 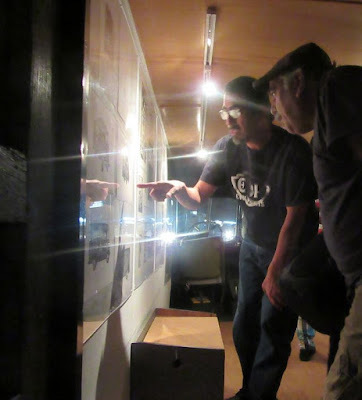 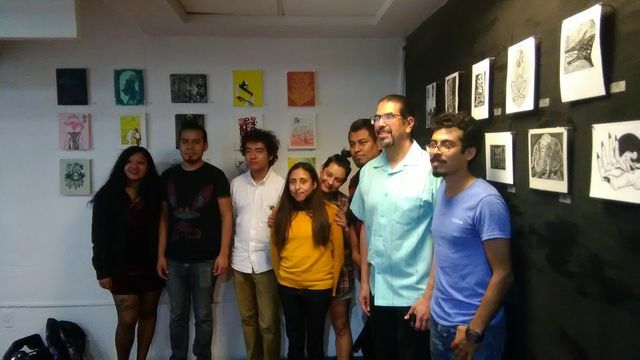 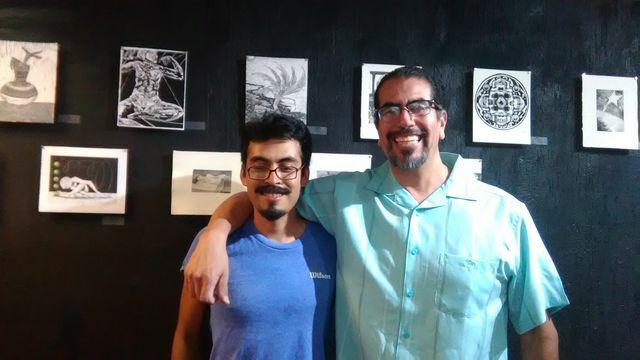 Manuel Guerra, the organizer of this print exchange, flew down to Oaxaca for the opening. 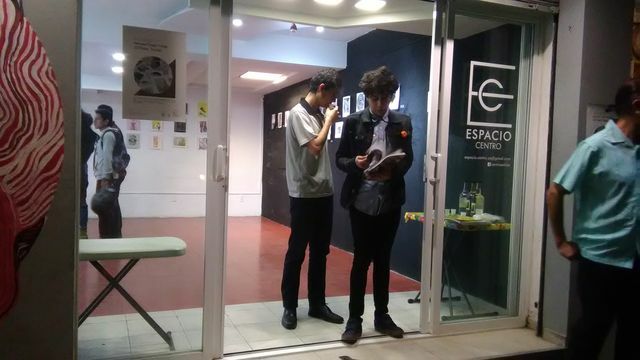 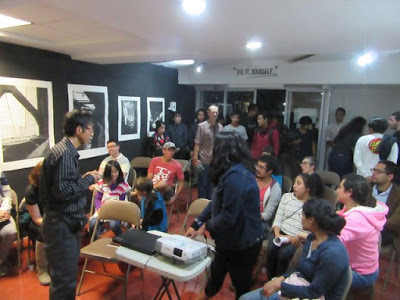 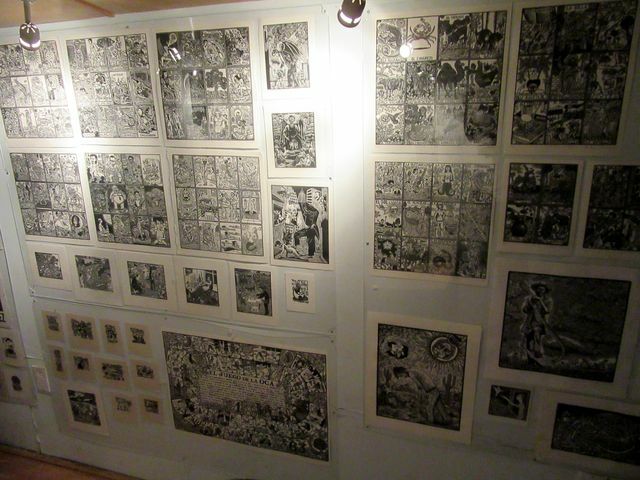 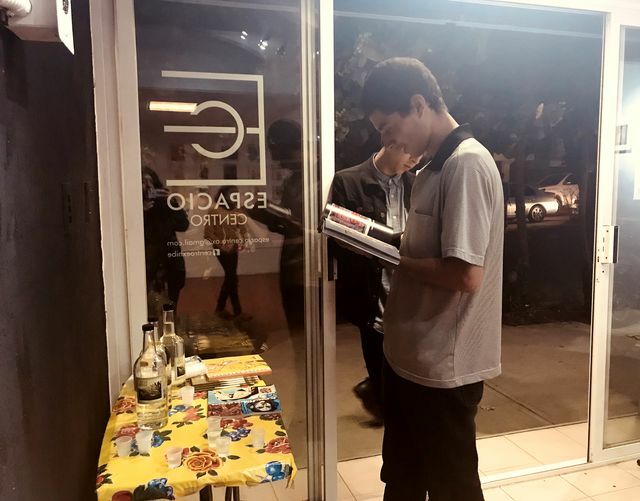 Toru Sugita gave a talk during his exhibition earlier this year at Espacio Centro in Oaxaca. 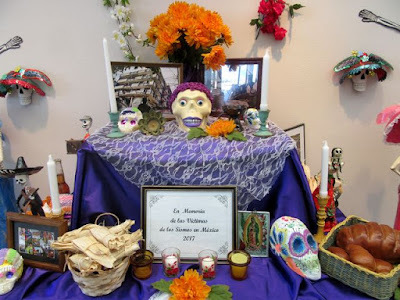 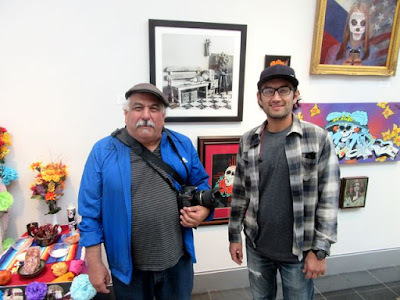 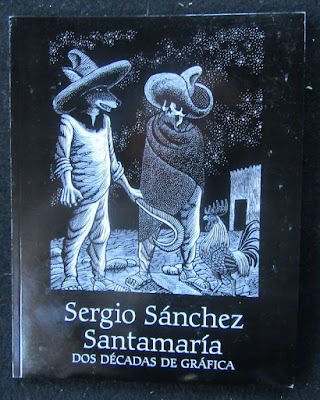 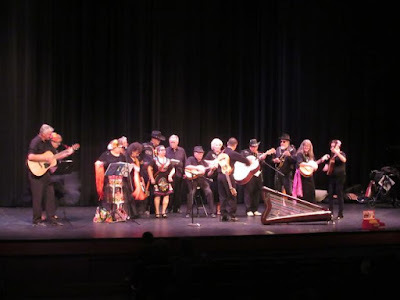 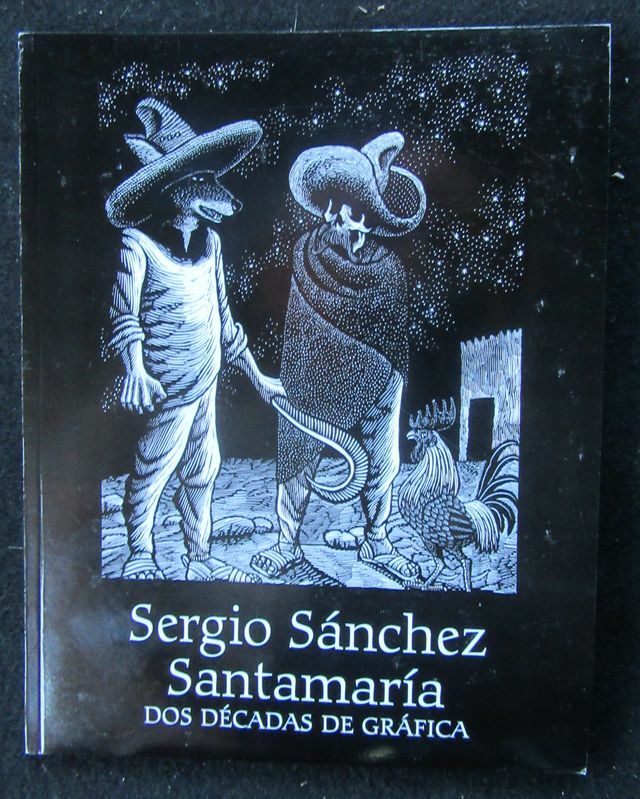 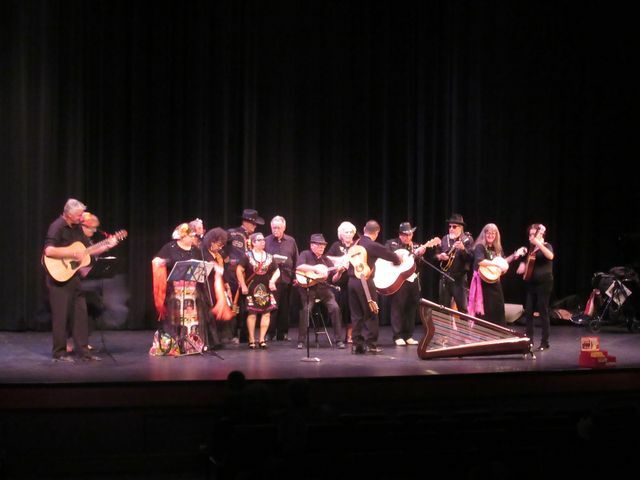 Artemio Rodriguez comes to El Paso, and Sergio Sanchez Santamaria comes to Santa Fe. UPDATE: Artemio has a Kickstarter up until March 10, 2018, to fund a trip of the Graficomovil to it's final destination, Pátzcuaro. 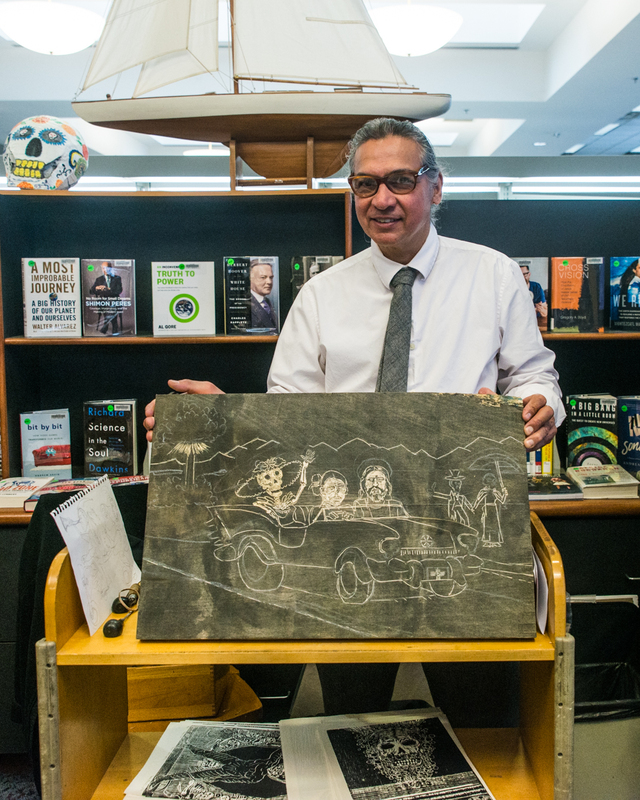 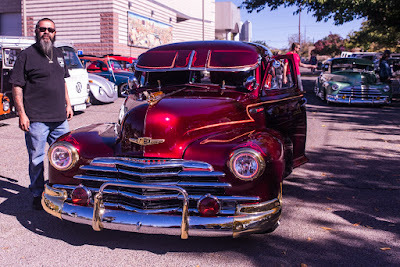 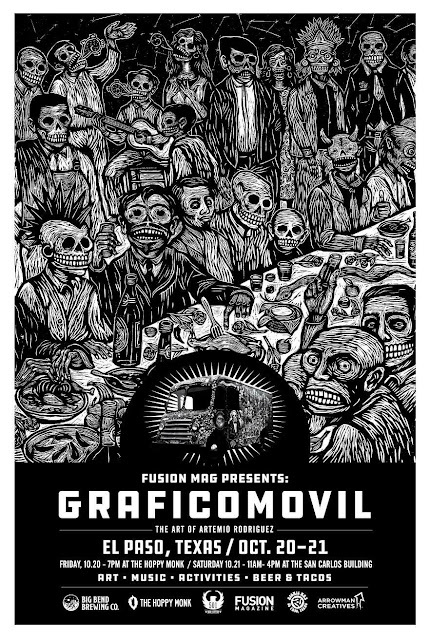 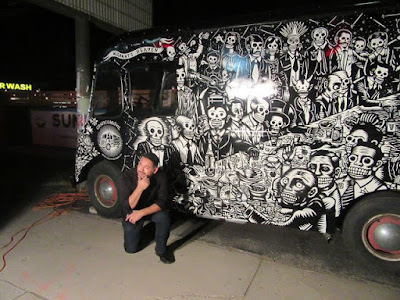 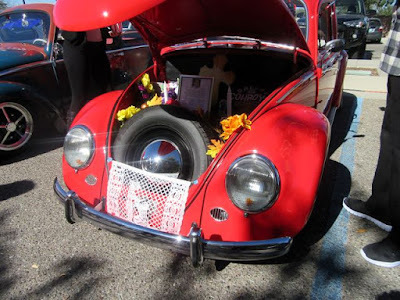 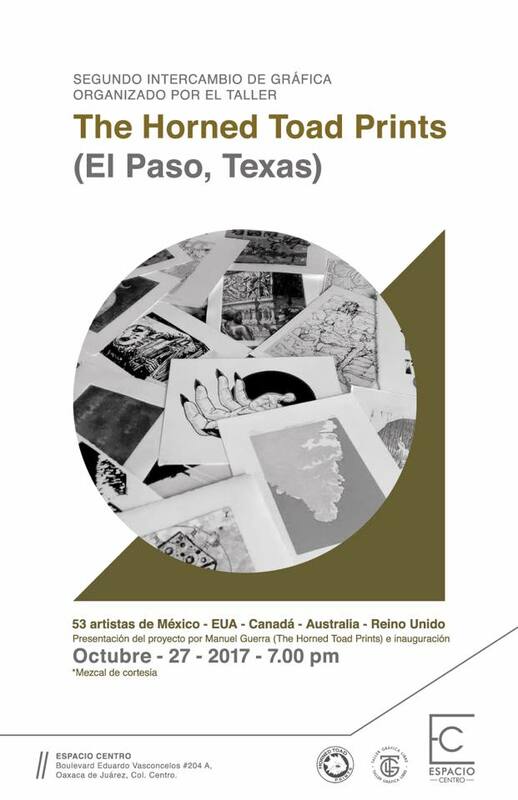 Artemio Rodriguez brought his print mobile -- Graficomovil -- to El Paso on October 20 - 21, 2017. Sergio Sanchez Santamaria had an opening for his exhibit at the New Mexico History Museum in Santa Fe, on October 21st, 2017-- 1 - 4 pm. 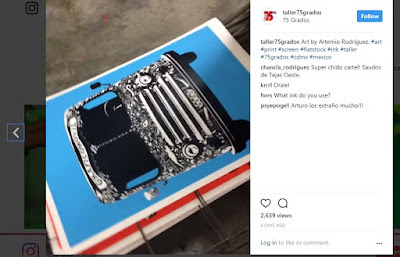 Sergio was the master printer at Taller Grafica Popular in Mexico City for 17 years. 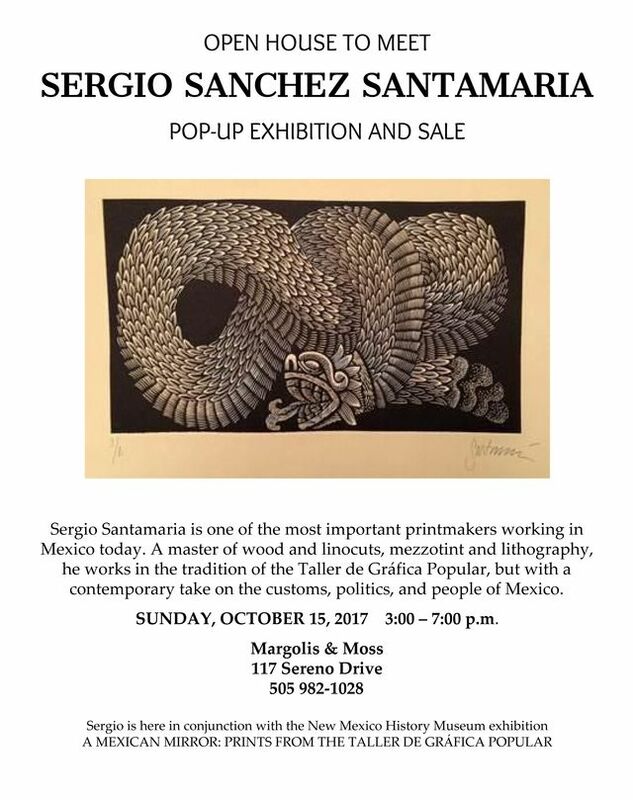 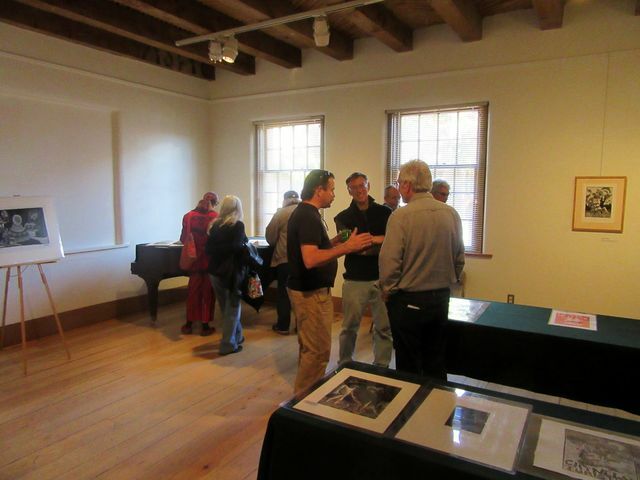 Previously (Oct 15) Sergio Santamaria was at Margolis and Moss for an open house in Santa Fe. 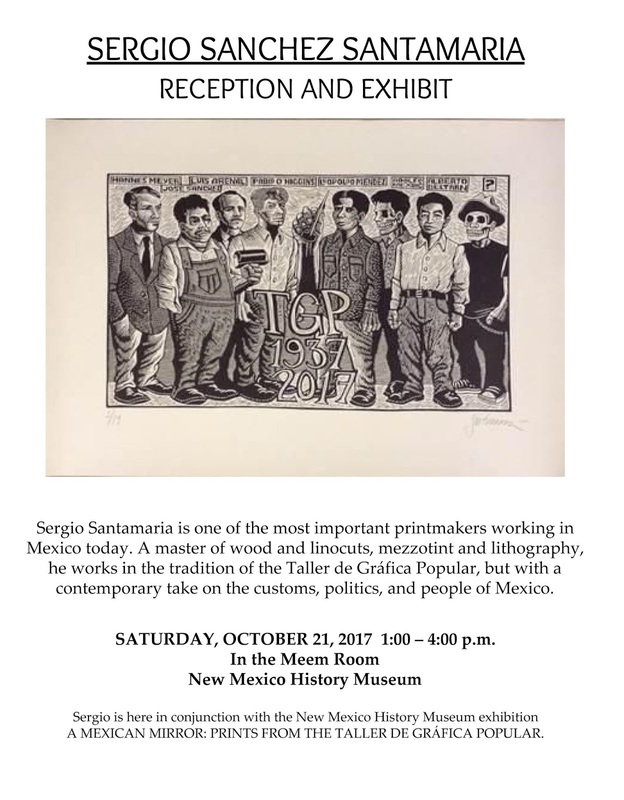 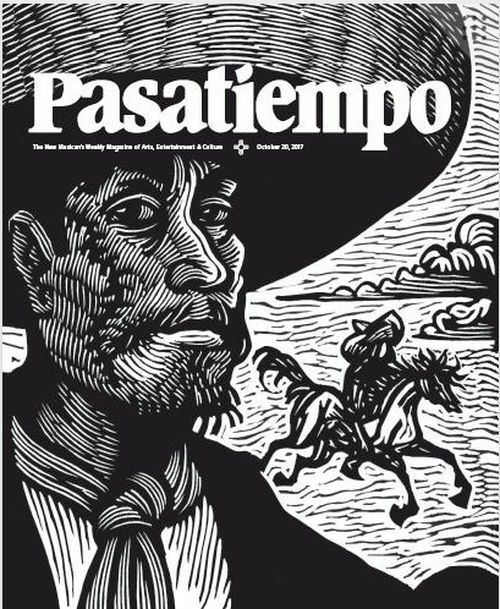 There is also a "Taller de Grafica Popular" Mexican print exhibit in the same building, the New Mexico Museum of History in Santa Fe -- Oct 6, 2017 - Feb 18, 2018. 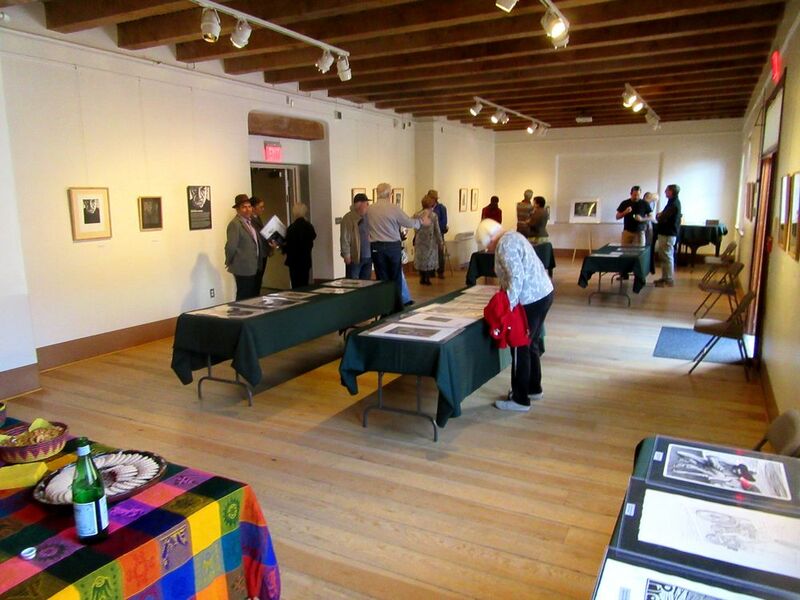 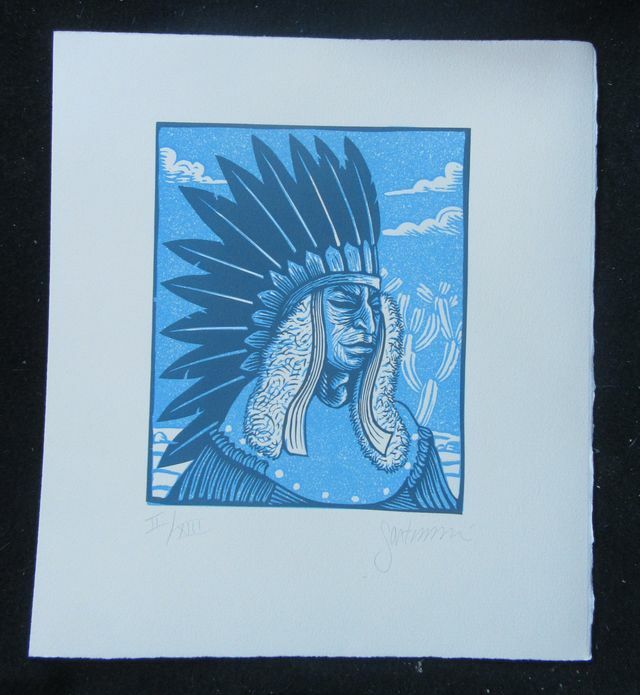 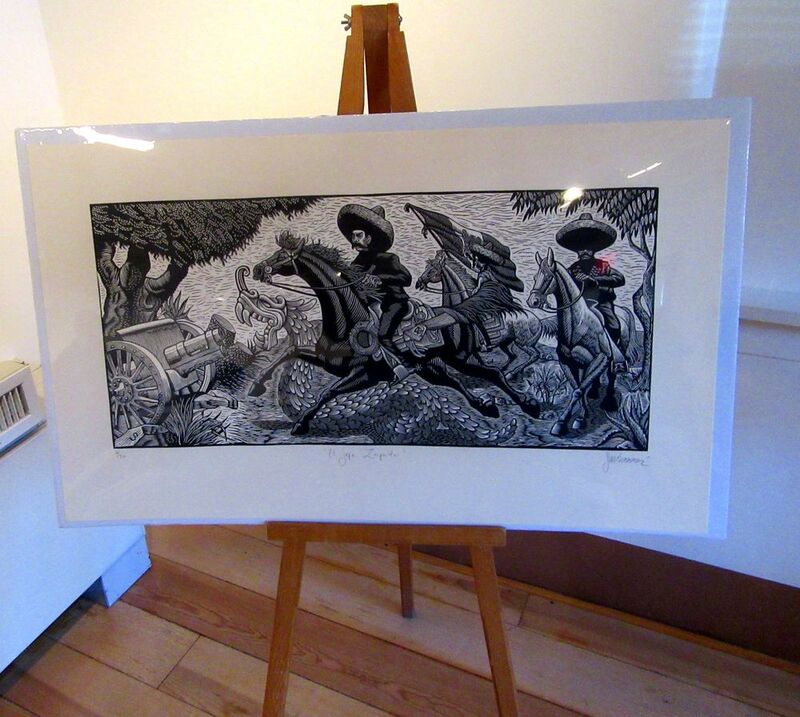 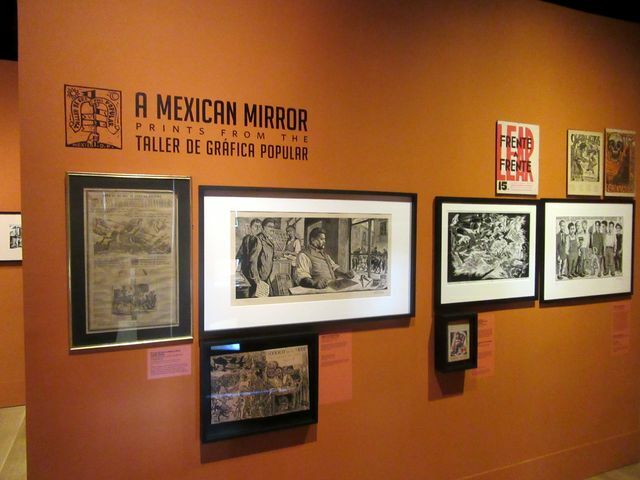 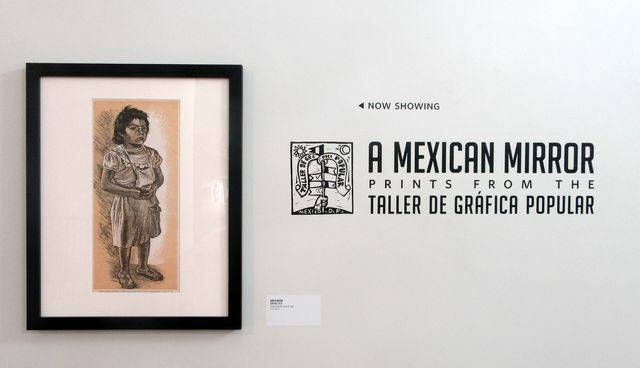 "A Mexican Mirror - Prints from the Taller de Grafica Popular"
One can visit the Palace Print Shop with the admission for the New Mexico Museum of History. Inside there is a reconstruction of the studio of Gustave Baumann.